The State Disability Plan aims to be community-driven and reflect the aspirations of people with disability throughout Western Australia. You are invited to register your details to be kept informed and be invited to participate in the Plan’s development. 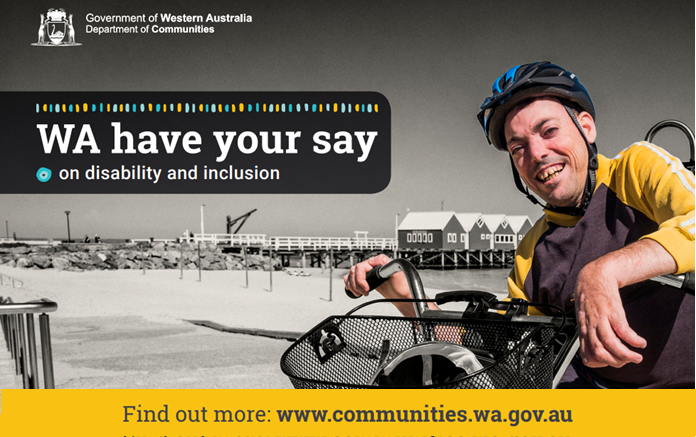 There is also an online survey where your input can be used to help establish a vision for the State Disability Plan. This survey closes on 12 February 2019. This survey closes on 12 February 2019.